Another Major Comics Character Is Coming to The Walking Dead! You can breathe again—Michael Bay is directing Transformers 5. Marvel is throwing down another gauntlet against Batman v Superman. Plus, superheroes scrap in Civil War art, new pictures from Deadpool, and what’s to come on Agent Carter and Legends of Tomorrow. Spoilers Now! Cara Delevigne has posted a picture of herself on the set of this Luc Besson film. Marvel have officially released the recently-revealed promo art featuring Teams Cap and Iron Man duking it out with each other. Too big boots to fill. I could never do that. I’d love to, at some point in my life, do something as an ode to my father and also as an ode to the show. It’s an institution, it something that makes you proud to be British … But how can you top my dad? You can’t. He was my Doctor Who. Following the recent confirmation that the series would return this March, Comicbook.com is reporting that the series will in fact launch on March 25—which would put the series release on the same date as the release of Batman v Superman. Your move, Warner Bros. In the season premiere episode, “The Lady in the Lake,” Peggy moves to the City of Angels to help Chief Daniel Sousa at the West Coast Strategic Scientific Reserve (SSR) investigate a bizarre homicide involving an alleged killer and Isodyne Energy, and reunites with some familiar faces. Finally, things get a bit messy—and Rip Hunter takes a few blows—in a new promo for the series. Additional reporting by Gordon Jackson and Charlie Jane Anders. 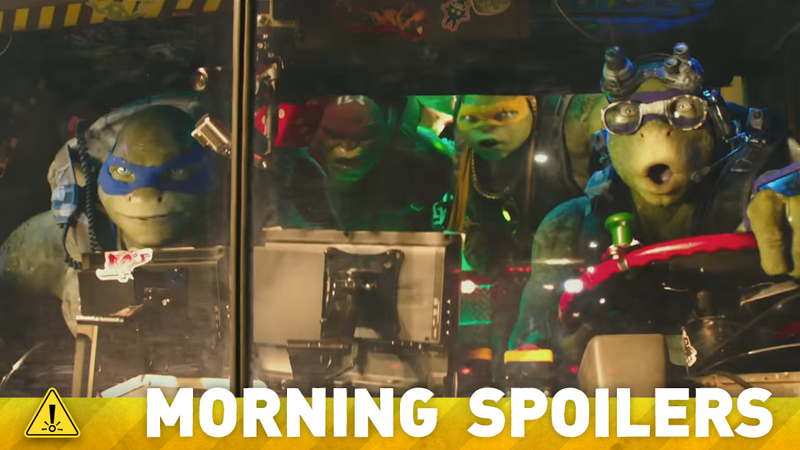 Image: Teenage Mutant Ninja Turtles 2.